With 12 more blitz games left to play, the final day of the Champions Showdown was undoubtedly going to be action packed. The fans were in for a treat as the players came ready to fight - making only 16 draws in 60 games! At the end of the day, five winners were crowned all of whom earned $36,000 for their efforts, with their opponents taking home $24,000. This match was more of a formality as Caruana had already clinched the title yesterday. Per FIDE rules, the remaining games after a winner in a match is decided are not rated, thus taking out the incentive to rise up the rating ladder out of the equation. Even so, the duo came ready to fight until the last second on their clock. Harikrishna was finally able to slow Caruana down somewhat, ending the day with a score of 7-5 in favor of the American. One of the most entertaining moments of the day was when Caruana resigned in a winning position because he thought he was getting checkmated and missed his own check with the queen. 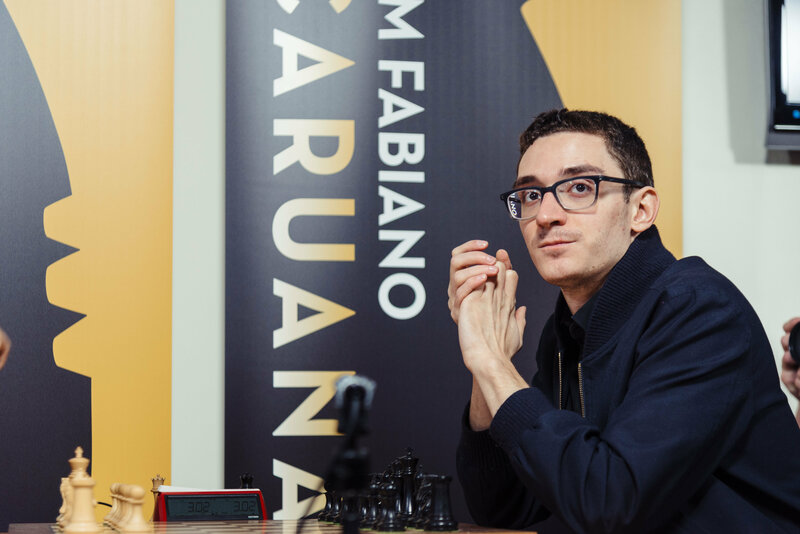 Caruana had the most dominant performance in the event, winning with a gap of 23 points. The match was clinched in the first four rounds, when Nakamura collected the 1.5 points he needed. Once again, the games came down to the wire, with the second game of the day ending in 117 moves! 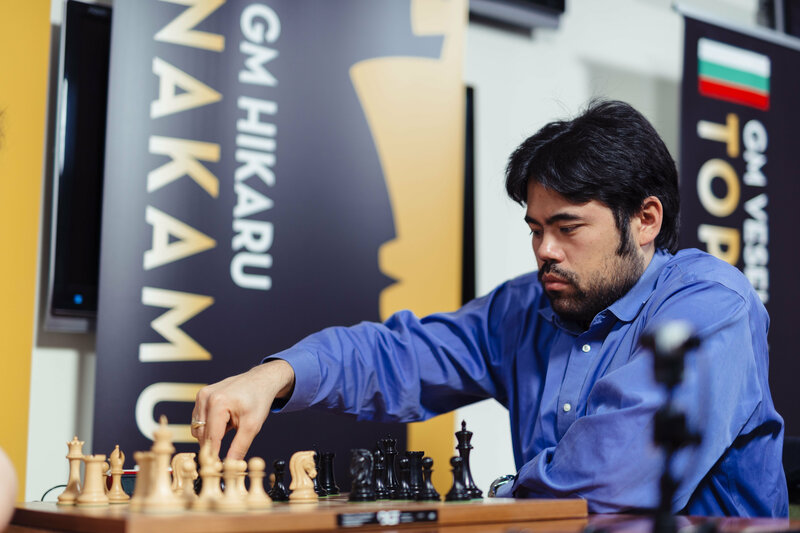 Nakamura scored the crucial win in round three, when each player had a pair of queens on the board - a rare occurrence in tournament play! Duda had good chances and even winning positions in many of the games, but somehow couldn’t withstand the pressure Nakamura put on him with his quick play. Although Duda earned a silver medal in the World Blitz Championship just two months prior to this event, ahead of Nakamura, the American proved that he’s known as one of the best blitz players in the world for a reason! This match quickly became the most competitive one after Dominguez’ 5.5 score in the first 7 games, bringing the score to 20-23 with 5 games to go. In the very next game, the American played too aggressively and overextended, creating too many weaknesses which his opponent had no trouble capitalizing on. Unfortunately, this stumble meant that the former World Champion only needed one draw in the next four games, which more or less meant a sealed deal for him. 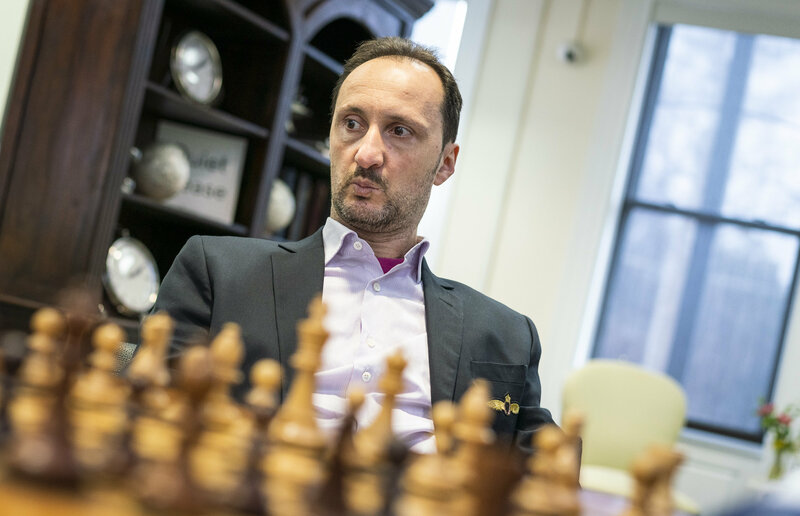 Topalov clinched the title in round 10 game of the day, by missing a checkmate and making a draw with perpetual check instead. Funny enough, he also missed mate in one in the final game and actually walked into checkmate in game 7! The win in game one of the day sealed the deal for Rapport, who only needed to score one point in the entire day. The reigning US Champion once again had a difficult time slowing down his opponent who scored 6 points in the first 8 games. Despite what the score indicates, the games were highly competitive and Shankland’s fighting spirit could be seen in all of them. Although Rapport is five years younger than his opponent, he is a former European Rapid Champion, finishing fourth in the European Blitz Championship, and thus is better experienced in these time controls. He scored the highest number of points in the event after Caruana.